Tuktoyaktuk/Tuk-tu-yaaq-tuuq or short version “Tuk” (Inuvialuktun: resembling a caribou), is an Inuvialuit Hamlet of about 965 people which is located on the shores of the Arctic Ocean at the tip of the Northwest Territories. Formerly known as Port Brabant, the community was renamed in 1950 and was the first place in Canada to revert to the traditional Native name. 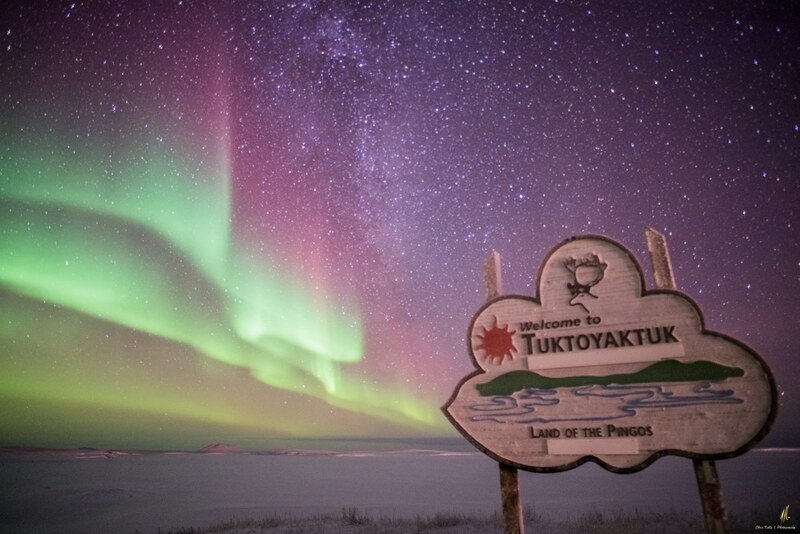 Inuvialuit have lived in Tuktoyaktuk since ancient times. In the early 1900s it was a favored fishing locality. Mangilaluk was the chief, or umialiq, of the community for many years and made Tuktoyaktuk a permanent settlement in 1905. Tuk was once the harvesting site for Tuktu, the caribou. In the past, thousands of Inuvialuit were scattered along the coast from Herschel Island to Cape Bathurst. During the winter from December to March, they gathered at Kittigazuit, 16 miles from Tuktoyaktuk,at the mouth of the East Channel of the Mackenzie River. Click here for more information on Kittigazuit. 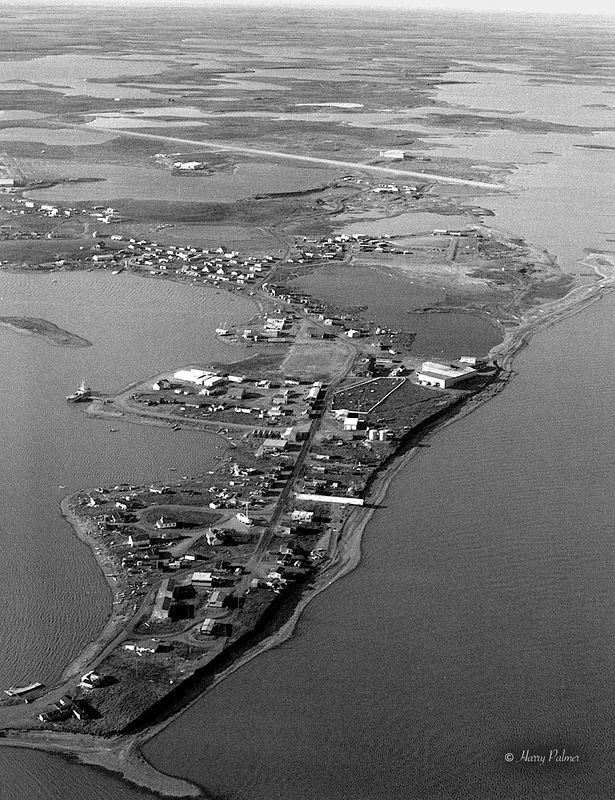 When there was a need for a suitable harbor for community resupplies for Inuvialuit communities in the area and to the east, Tuk was chosen as the site because of the natural harbor from the wind and waves. It also provided access to a variety of fish species for local use.The new community was situated on one of the nicest harbors in the western Arctic, suitable at the time for fur trading schooners and more. 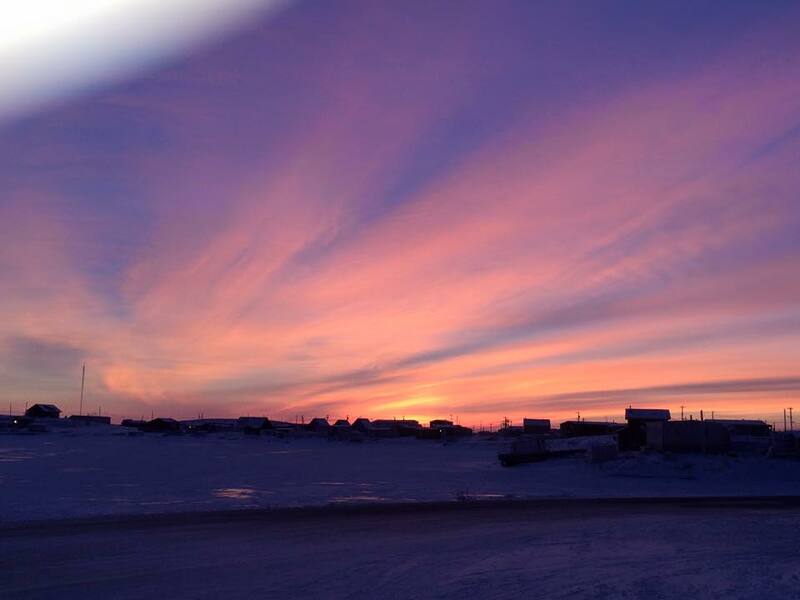 Today Tuktoyaktuk is a major Inuvialuit community in the Inuvialuit claim area. Residents of Tuktoyaktuk still hunt for food, often travelling on the land to traditional hunting or fishing spots for harvesting purposes. Visitors are welcome to explore the contrast between traditional and modern lifestyles, still evident at historic Tuktoyaktuk.